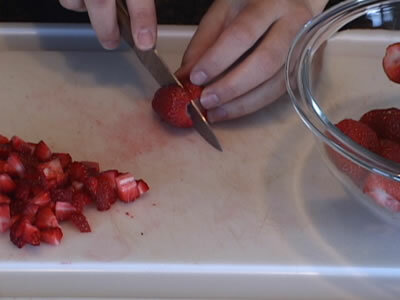 RecipeTips.com's video demonstration, 'How to Make Strawberry Shortcake,' steps through the perfect recipe to use up those fresh strawberries. Hi, everyone! 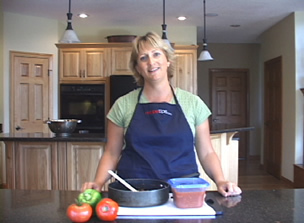 This is Laurie from RecipeTips.com. 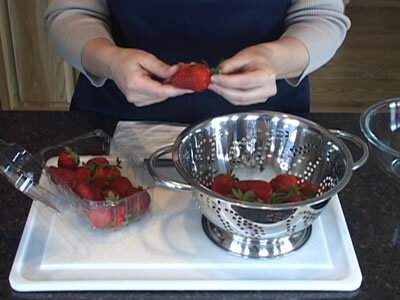 Today, we are going to be making a simple strawberry shortcake. 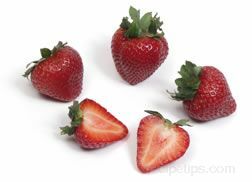 To make the strawberry sauce, I have cleaned and sliced two pints of fresh strawberries and have added to that, two-thirds of a cup of sugar. 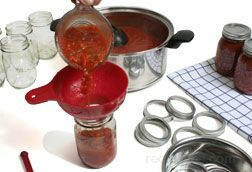 You just mix that together and let the strawberries release their juices, and that makes a great sauce. 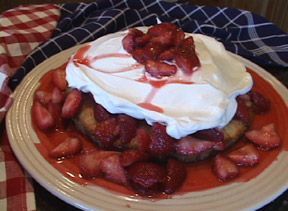 To make the shortcake, you will need two and a third cups of Bisquick mix, three tablespoons of granulated sugar, three tablespoons of melted butter, and a half a cup of milk. And, we are going to need to put that in an eight- or nine-inch prepared cake pan that has been buttered and floured. Mix all of the ingredients together; and then stir until a soft dough forms. 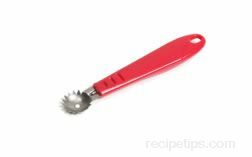 Place the dough in the prepared cake pan, and just use your fingers and press it down to the bottom. 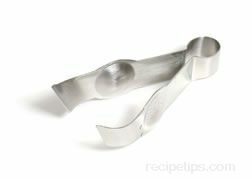 Place the cake pan in a 425 degree preheated oven for fifteen to twenty minutes or until the cake is golden brown. Once the shortcake is partially cooled, you want to run a knife around the edge of the cake to loosen it from the pan; then simply just turn it over in your hand and place it onto a cake platter. The next step is to pour your strawberry sauce onto the shortcake. Now the juice is going to run down the sides and that is just okay. Save a little bit of the sauce for the second layer. The next step is to layer three cups of whipped cream. 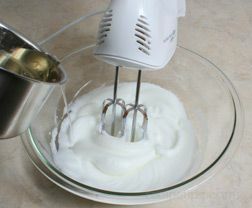 I am using store bought whipped cream, but you can certainly make your own, too. Place it on top of the layer of strawberries. 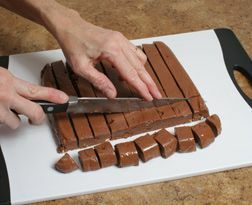 You are going to want to spread this out so it covers almost the entire cake; maybe leave about an inch around the sides. 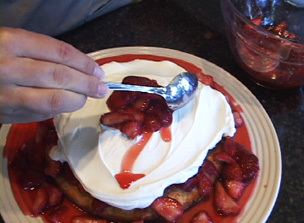 Then just place a few of the remaining strawberries right in the center of the whipped cream. 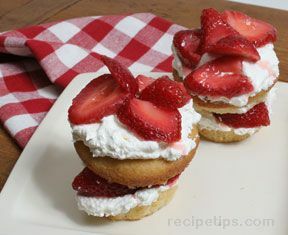 This simple strawberry shortcake is a perfect way to use up those summertime strawberries. 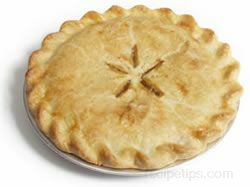 For more great recipes, visit RecipeTips.com.